Here is one story that resonates well the story of most of the babies on the milk supplementation program. Vania, Valerio and Valdner are a set of four month old triplets. Their mother came looking for help because she was feeding them milk that she was making from pounding rice, but they were not gaining weight and they were very weak. The mother was at a loss of what more she could do. The weight of each of the children was way below what it should be for their age, and the two boys were very sick, simply from the lack of good nutrition. 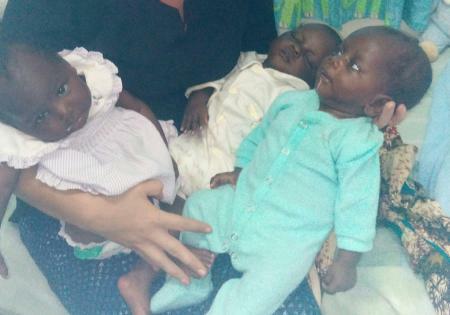 I remember thinking when I first met these babies that if we didn’t help them they would have no hope of surviving. 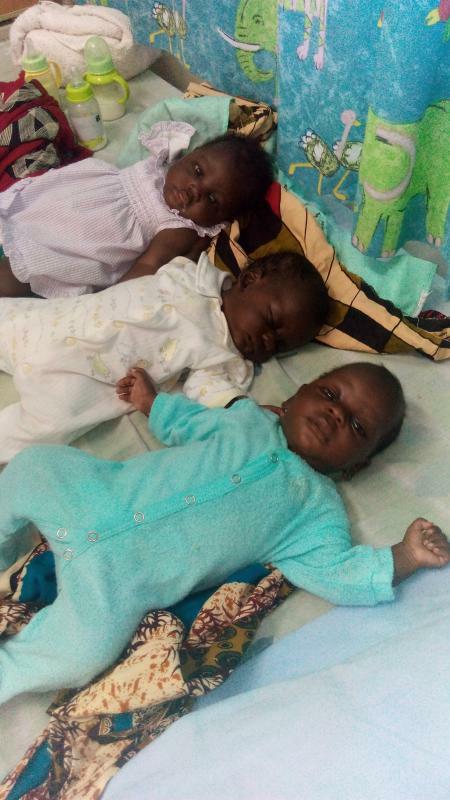 Because of your support we were able to add all three babies to the program where we could assure that they would get adequate nutritional provision. Thank you for the part you play to make it possible to offer milk to babies that otherwise would not have the privilege of accessing the milk on their families’ means. The community Food Box program is currently supporting 58 community families in need. Included are some of our reintegrated children/youth, some elderly people and some with disabilities that prevent them from working. Vella, who has overseen this program for many years, has returned to her home in the UK. We are pleased to introduce you to Augusto Lopez, who was raised at the centre from childhood and is now almost through University thanks to donor support. Augusto has taken over the oversight of the food box program. The program continues twice monthly and is a great blessing to the community. In fact this week we are expecting to add two new families to the program.